By nature, performers are needy, mercurial people who can create magical moments when the elements perfectly align. But when things go wrong in the world of the performer, they go really wrong. Like, smashing-a-hole-in-the-stage wrong. This list is all about famous people who threw fits on stage, from the singer of Smash Mouth to pop megastar Justin Bieber. The celebrities who threw tantrums on stage aren’t just musicians; comedians and actors are among the people who stormed off stage in the past. And you better believe they made sure the audience remembered them. To read all about the craziness of singers who walked off stage, keep scrolling and try to avoid incurring their wrath. Most of the time, when celebrities walk off stage, their shows end in more of a whimper than a bang. That’s not true for the celebrity walks-offs on this list. In fact, at least two of the people on this list caused full on riots. What can we learn from these stars who got fed up and bailed on their audiences? Nothing really, just don’t throw tomatoes at them or heckle them while they’re trying to tell jokes – unless of course you want them to end up on this list. If that’s the case, heckle away and vote up the best stories of famous people storming off stage. Then take to the comments to dish on the time you saw your favorite star throw a hissy fit. Axl Rose storms off stage a lot. Like, a lot a lot. In the video above he's upset about a guy taking pictures of him. And when the venue's security failed to confiscate the photog's camera, he smashed his mic and left the stage, causing an all out riot. 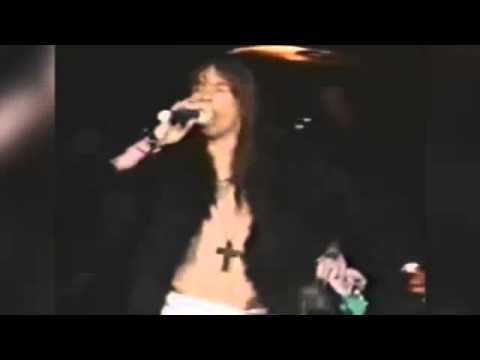 If that's not enough angry Axl Rose for you, here's a super cut of his best on stage freak outs. Is this a great story? 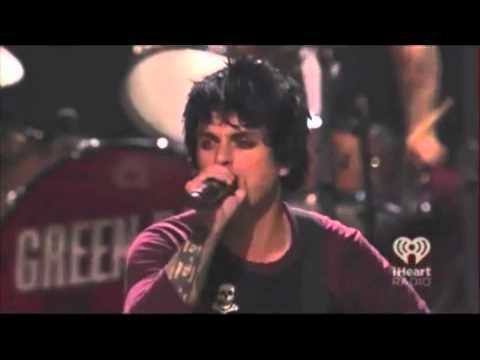 While playing an iHeartradio festival in 2012, Green Day's Billie Joe Armstrong had an on stage meltdown that rivaled some of the greats. After finding out that their set had been cut short, Billie Joe started smashing instruments and screaming about how he wasn't Justin Bieber. At the final Doors show in 1970, Ray Manzarek recalls the mercurial singer using the mic stand to smash a hole in the floor of the stage before leaving the venue, fleeing to Paris, and dying of a heart attack. Talk about an encore. At a concert in Santiago, Chile, Madonna turned into a total mom when she saw members of the audience smoking cigarettes while she was trying to perform. She told the offending audience members, "No smoking. If you're going to smoke cigarettes, I'm not doing a show. You don't care about me, I don't care about you. All right? Are we going to play that game? I'm not kidding. I can't sing if you smoke ... You're looking right at me and smoking cigarettes, like I'm a stupid f***ing idiot." Then she walked off stage.